You are here: Home / News / The Oldest City Out Here. (ThyBlackMan.com) Natchitoches, I love you. And so does Oprah Winfrey. A little town just a little over 4 hours north of New Orleans, Natchitoches is a cozy city of 18,000 people. Most people can’t spell it, pronounce it, or even know where it is. Arguably my favorite city in the state of Louisiana, outside of Lafayette and New Orleans, Natchitoches is known for its meat pies, music on the River, historic plantations and Northwestern State University. People in Louisiana (and in other places that I know), laugh when I mention how much I love the town of Natchitoches. The filming location for movie cult classic Steel Magnolias and one of Oprah’s favorite small towns in America, Natchitoches is special for many reasons. Below are my top five reasons for being in love with Natchitoches, Louisiana. #5: Cobblestone streets. There’s something elegant about streets of cobblestone. It takes one back across centuries and continents, and allows the mind to roam. Perfect for a writer, a dreamer, a historian. The sound of old cobblestones touched by the rubber on a passing modern day vehicle wakes up the spirit, blending past and present. Front Street in Natchitoches is surrounded by cobblestone, and the #2 reason I love Natchitoches (Cane River). #4: The chill factor. Its untapped beauty. 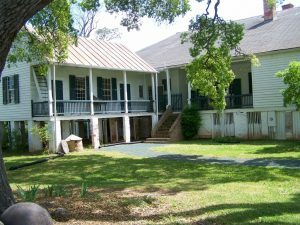 An old and historic Creole city, Natchitoches is small, quiet, relaxing and refreshing. For bigger city folks in New Orleans, it may feel boring or too slow. For me, I welcome the change of pace. There are still several restaurants and bars, live music venues, a sports hall of fame building and upscale hotels, and festivals for locals and tourists to enjoy. For a person who didn’t grow up with the luxury of a yearly vacation, driving a few hours from home to recharge the batteries is definitely a huge benefit. #3: Festival of Lights. Aesthetics and holidays work marketing magic and community and family fun times? During the holiday season each year, Natchitoches lights up more than 300,000 bulbs surrounding Cane River, all holiday themed, viewable from all around town. The newly remodeled downtown amphitheater is the perfect foreground for music performances and family gatherings, with the magical Festival of Lights in the background. #2: Cane River. As a Pisces and a writer, Water always has inspired me. From the bay waters in San Francisco to the mighty Mississippi River in my French Quarter backyard, the subtle impact on my mood is always elevated when I’m surrounding by the substance. Add the quiet of the town, the hush of the river flowing, and crystal clear August skies, Cane River is a breeding ground for creativity. #1: People! Two months ago I was on a sales presentation with a client. After talking for ten minutes about everything from vacation to home ownership, the gentleman mentioned he lived in Natchitoches. Three hours later, he was giving me his phone number, home address, business card, and inviting my wife (who wasn’t present) and I, to their home for gumbo in December. I’ve been coming to Natchitoches annually since I moved to New Orleans in 2011, and experienced and exchanges with the people like in the above example are common place. Sure it’s the south and all the hospitality to boot, but there’s a charm and a love that embodies the people surrounding Cane River and the town of Natchitoches.